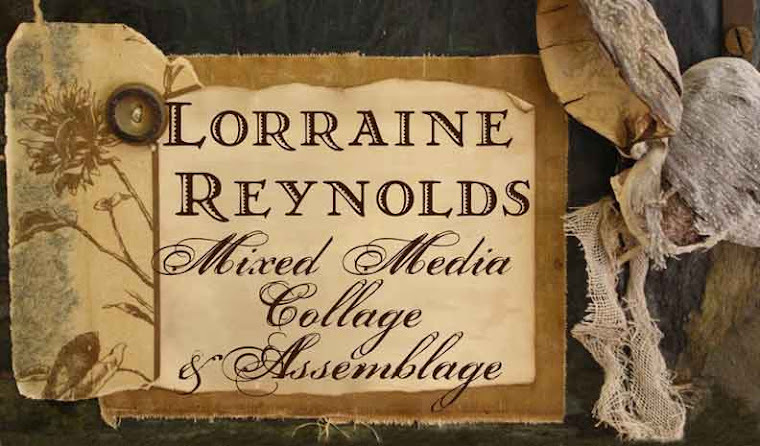 Glimmering Prize: Mixed Media Collage and Assemblage by Lorraine Reynolds: I think I might be on the verge of being an addict. I think I might be on the verge of being an addict. I had to take a reality check and decide not to go to the Drum Corp show in Dubuque tonight. I had just been to a DCI show in Madison, WI on the 27th and then one in Whitewater, WI on the 5th. The Bluecoats and Phantom where calling me, but the reality of work (I need to catch up after being out of the office for the holiday) and everyday life (eating a decent meal and taking care of the dog) circumvented me driving the 45 mins to Iowa to see yet another competition. Dear Reader, I know that's what you are thinking... What the heck is Drum Corps? How the heck can you be addicted to it? Oh lord. How do I explain this? This thing, this activit, that I did as a teenager and revel in (perhaps even revere it) as an adult fills me with excitement and joy. Some people have their sports teams, baseball, football, soccer... 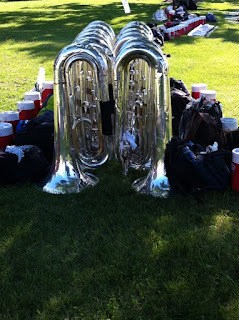 I have DCI. From the end of June to the beginning of August, Drum Corps is my obsession. I am a huge fan of this hybrid of music, theater and motion, that is part spectacle, part religion. ( I will try to explain that part more at some point) It's all about team work, determination, stamina and joy. Music, moving on a football field. Marching like no half-time show marching band you have ever seen. Brass and drums and color guard silks that bring out emotion and give you goosebumps.... that's what Drum Corps is. There are about 25 world class corps in the US. Most of these corps are made up of 150 kids- we're are talking high school and college kids, no older than 21. They dedicate their entire summer to learning musical repertoires and drills, that are incredibly complex and detailed. 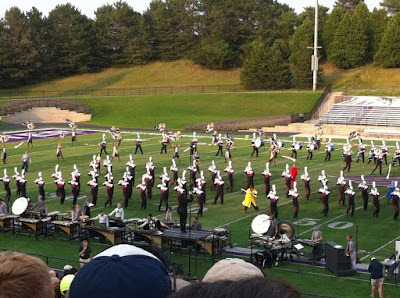 The Mid-West seems to be the hot spot for Drum Corps International. But these kids tour all summer long, from California to Boston and back again, pushing themselves to give a 110%. To quote a friend I recently introduced to Drum Corp," it's a half-time show on steroids." LI Grenadiers. That's me, 2nd row, 4th one from the left. Next to Hector Colon. I'll never forget that night- We won the Garden State Championships! I suppose there is more to tell...but I will save that for another night. Salut! 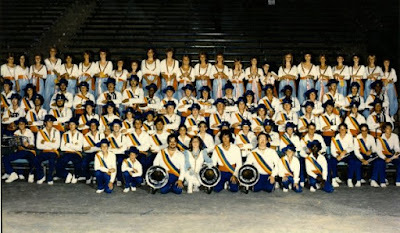 my friends... if you have never experienced Drum Corp and there's a show near you, seek it out, buy some tickets in the cheap seats, enjoy the summer twilight, music and motion. There's nothing like it... watch out... you might get addicted. Loving your mixed media art! And my 16 yr old daughter is loving that you love DCI!! She's all about the blue coats!! Thank you for your inspiration!